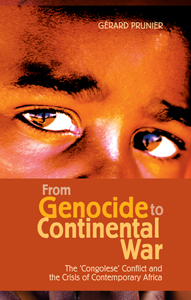 Following the 1994 genocide in Rwanda, the largely Tutsi RPF government built a repressive regime after a short pretence at national reconciliation, while hundreds of thousands of Hutu, many of whom had perpetrated the genocide, fled to Zaire. The two parties clashed when the Rwandan government attacked the refugee camps in September 1996, forcing some of the refugees back home and killing others. Their military success led the victorious Rwandan forces to push their advantage and overthrow President Mobutu with the help of several African allies and the discreet support of the United States. The collapse of the Zairian regime marked the passing of an era and the implosion of the Cold War postcolonial order in Africa. As a result the heart of the African continent has been engulfed in a low intensity but high civilian casualty conflict involving seven countries directly and another seven indirectly. The international community has shown little interest, yet this massive conflict will probably play a key role in reshaping the continent’s future in terms of border definition, governance and economic change, all of which are addressed in this work. Thanks Gerard for making clear this part of the rwandan history. We really are thankful for the good job you did. It is known and willingly overlooked by many that the Kigali regime massacred rwandans in congo and many politicians were killed following the 1994 genocide.